Do you know why you and your family are in New Mexico? Are you a descendant of one of the many indigenous tribes who can trace their lineage for generations? Perhaps you can trace your roots to the conquistadors or maybe relatives who came north from Mexico. Or was a great grandfather a Crypto Jew forced to hide his faith fleeing the Spanish Inquisition? Many of our ancestors came here to grow chile, grapes, apples or tend livestock. Entire families packed up part and parcel and moved here to ranch, generations ago. Perhaps a great-uncle started the extended family’s move west when he came to work for the railroad, as was the case in the early 1950s when Don and Nelle Connors left Iowa and moved their sons Daniel and Bill west to Albuquerque. Many New Mexicans’ family stories started when an enlisted man stationed at a New Mexico military base fell in love with a local gal and ended up making their home here. Did someone in the family come to work at Sandia or Los Alamos National laboratories and then chose to move permanently and retire here? 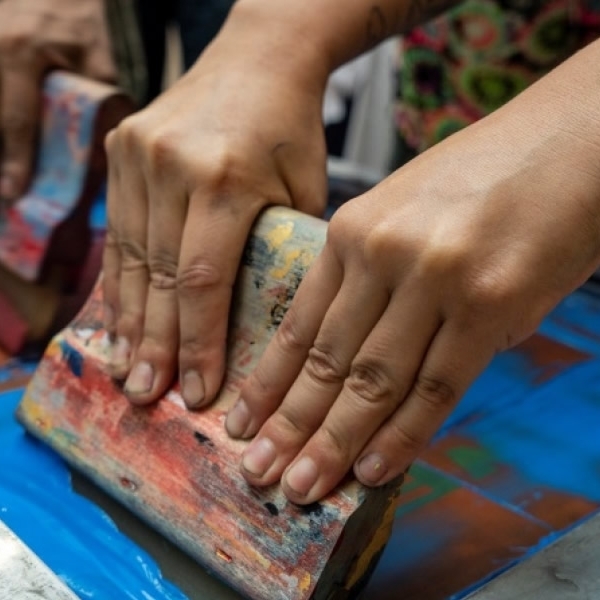 Maybe you’re an artist or a descendant of one, lured by New Mexico’s captivating light, dramatic mountain and desert landscapes, and communal respect for and embrace of art, artists and artisans. A former collegiate golfer, Betty Putnam’s fond memories of Las Cruces from a 1941 golf tournament led she and her husband and their five sons to New Mexico from Illinois. The family adventure was supposed to just be a one year sabbatical from teaching for Bill to pursue an advanced degree at New Mexico State, with the added bonus of great climate where Betty could golf all year. 55 years later, Bill and Betty are gone, and four out of the five Diven boys — a journalist, photographer, doctor and artist still live and work in New Mexico. One family’s migration started when, fresh from nurse anesthetist training in New Orleans, Margaret Mary Williams came to work with Randy Lovelace at Bataan Hospital in 1962, where they tested the original group of NASA astronauts. One by one her siblings followed, and now the extended family boasts 37 New Mexico residents, all living in Albuquerque. Did your story begin with being adopted from another state or country by a New Mexican family? Kathleen Mary Lawler (aka Albuquerque’s Kathie Leyendecker) was one of three children adopted by one-time Santa Fe New Mexican editor Joe Lawler and his wife Trudie. Joe Lawler was one of the early voices of Zozobra for his friend Will Shuster. Many people, like Carrie Tingley who suffered tuberculosis, came for their health. The Tingley’s relocated in 1910, and as Carrie recovered, Clyde began his career in local politics as New Mexico entered the United States, culminating in successful bids for Governor of New Mexico and Mayor of Albuquerque, among other positions. New Mexico’s history is riddled with the many notorious outlaws who came to outrun and hide from the law, including Billy the Kid and Al Capone. And, worth noting, it has long been rumored that many people relocated to New Mexico as part of the witness protection program. No matter the exact details, no matter the individual, no matter the family, there’s always a story behind where you live and why and how you got there. At New Mexico’s museums and historic sites under the Department of Cultural Affairs, filling in details of our cultural stories is what we do. Whether you’re a native New Mexican, a transplant, or a visitor to the Land of Enchantment, stories about the history of this region are at your finger tips with the New Mexico Cultural Atlas. Find Your Place in New Mexico with this free, user-friendly interactive mobile app that puts New Mexico’s historic and cultural points of interest in the palm of your hand. With images and descriptions of the state’s museums, historic sites, artworks, events and landscapes, the app directs mobile users to attractions they might not have known about and may not realize are nearby. The Cultural Atlas helps users to plan vacations, weekend getaways, and day trips across New Mexico utilizing simple search functions. It is available in the Apple and Google Play stores. Download the Cultural Atlas now at atlas.nmculture.org. A new addition to the permanent exhibition at New Mexico History Museum tells the stories of the sacrifices of many New Mexicans’ on battlefields during “The Great War.” The first World War began just two years after New Mexico became a state. Yet, by the end of the conflict, New Mexico ranked fifth in the nation for military service, impacting the stories of each and every family that sent a son off to a war far from home. A generation earlier, after the Civil War, racist attitudes prompted opposition to Black soldiers, with the prevailing belief that they wouldn’t be any good at it. Native Americans offered up the moniker “Buffalo Soldier” finding the African-American’s curly black hair, strength and courage among the admirable attributes of the buffalo. In August 1866 eight Black companies of the 125th Infantry marched to New Mexico and soon were serving at seven Army forts throughout the territory, most of them in southern New Mexico. Track the footsteps and stories of the Buffalo Soldier in New Mexico. Honoring the sacred traditions, skills, and artistry of the many indigenous tribes, the Museum of Indian Arts & Culture is upgrading the museum’s core exhibition Here, Now and Always for the first time in 20 years. Continuing as a collaboration between the Museum and representatives of many indigenous tribes, Here Now and Always aims to tell the stories of Native Americans in their own voice. Whether it’s exploring the works of Taos artist colonies or Los Cinco Pintores, the backstory behind New Mexico’s Museum of Art is integral to the emergence of the state as an artists’ mecca. You can read more about the Museum’s 101 year history here: http://media.newmexicoculture.org/release/544/. This winter and spring three exhibitions at the Museum of Art delve into darkness and a world of shadows through painting and photography exhibitions Wait Until Dark, Shots in the Dark and Carved & Cast: 20th century New Mexican Sculpture which explores 20th century New Mexican sculpture in a range of styles. The exhibitions include an ‘imagination station’ where you can create your own story through hands on activities that include drawing, writing and event puppets. 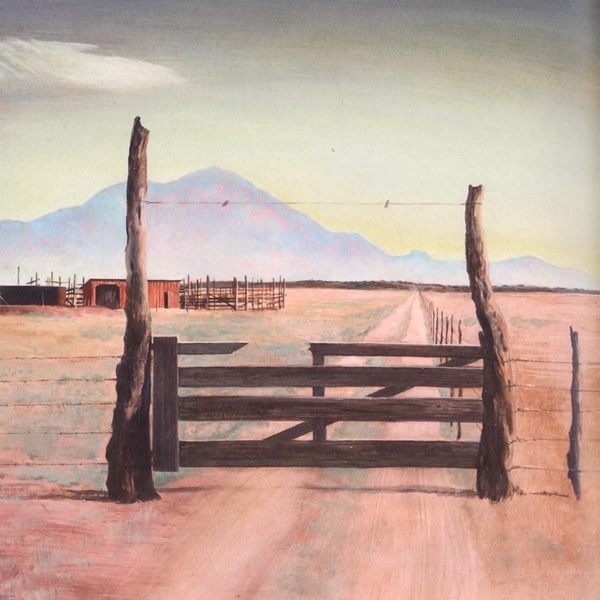 The New Mexico Farm & Ranch Heritage Museum in Las Cruces captures the essence of one of our state’s great artists — Peter Hurd, who celebrated New Mexico and its incredible beauty of the southern high plains. At the Museum of International Folk Art, A Gathering of Voices: Folk Art from the Judith Espinar and Tom Dillenberg Collection is an extensive, rich private collection of retablos, metalwork, furniture and textiles gathered from around the world. 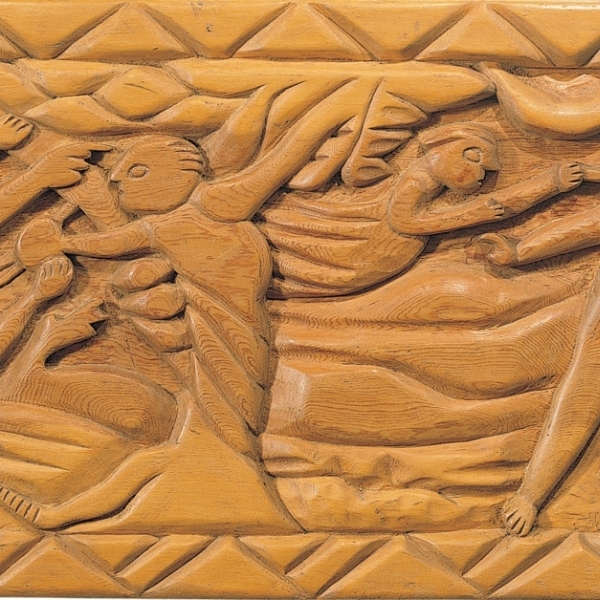 Experience the voices of international cultures and living traditions through the vision of one collector. Explore the lessons revealed in the unearthed bones of prehistoric creatures collected over the past 30 years at the New Mexico Museum of Natural History & Science. The state’s most popular museum has many unique fossils from its extensive collection on display through October 2019 in Back to Bones: New Mexico’s Links to the Past. The museum also hosts Picturing the Past — an outstanding juried Paleo Art show (Paleoart is scientifically informed artwork that reconstructs ancient life and prehistoric environments) on display through Jan. 4, 2019, with prints available for purchase. In early 2019, the Museum of Natural History & Science will open two new and separate exhibitions. Drugs: Costs & Consequences is a traveling exhibition from the United States Drug Enforcement Administration (DEA) Museum and the DEA Education Foundation. The exhibition has traveled to 16 cities and has been viewed by more than 22 million visitors. The exhibit will be on display daily in Albuquerque from Jan. 26 through Fall. A second exhibit running concurrently entitled Brain: The Inside Story invites visitors to understand how the brain functions and even participate in science-based experience. Brain: The Inside Story opens in Feb. 23 and runs through June 23, 2019. 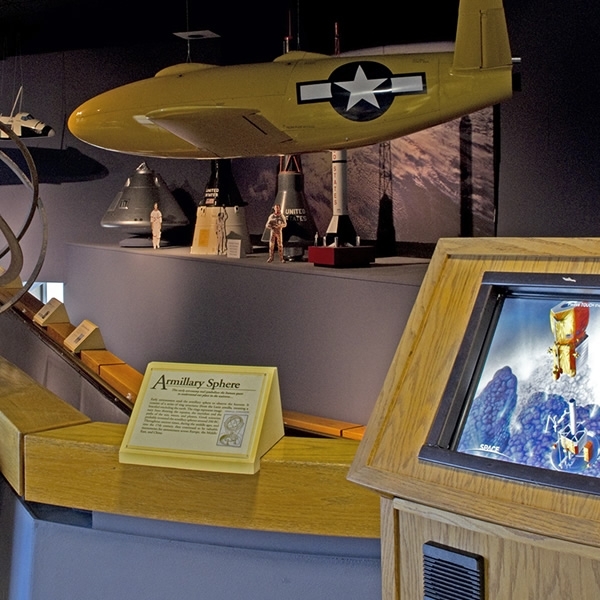 The New Mexico Museum of Space History in Alamogordo looks back at The Year of Apollo — the vision of landing a man on the moon launched by President John F. Kennedy in 1962, which came to fruition and captivated the world when Neil Armstrong took a giant leap for mankind in the summer of 1969. New Mexico boasts the largest state cultural affairs department of its kind in the nation precisely because of its rich and diverse history — from the dawn of the dinosaurs to the Space Age, and all of the cross cultural riches that came in between. The artifacts and stories housed at our museums and historic sites are researched, preserved, and shared to capture the essence of specific moments in time to frame their significance to ourselves, our evolution and relevance to the shared future of mankind. All of the museums and historic sites rely on volunteers. Perhaps delving deeper into New Mexico culture is something you’ve been thinking about. Volunteering at any of our museums and historic sites can help you achieve that goal while helping lend a hand to help out. To find out how call (505) 476-1125. Our vast cultural landscape is New Mexico’s unique gift. All of these priceless, intricate and extraordinary treasures are available to you and your family at New Mexico’s Museums and Historic Sites. We are the repository of your stories. Escape into the past, broaden your future and find your place.